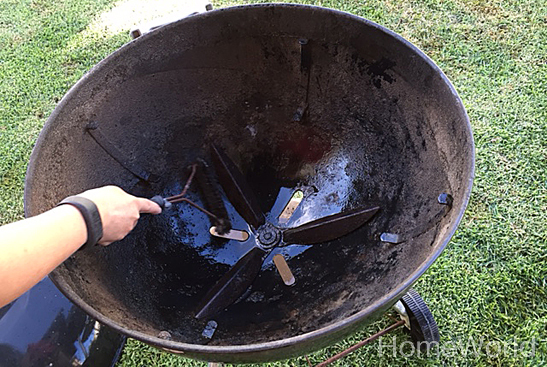 Quick Tip: How to clean your charcoal grill | Bringing together stories, rooms, life. 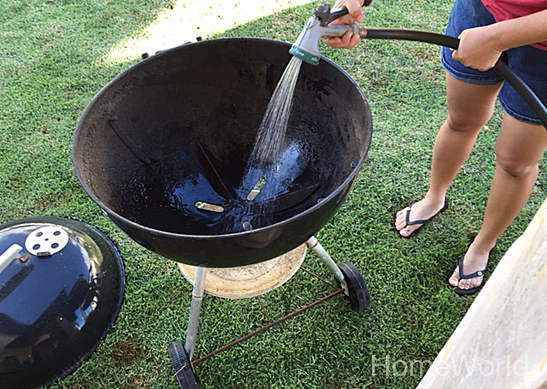 How many of you will be firing up your grill this Father’s Day weekend? 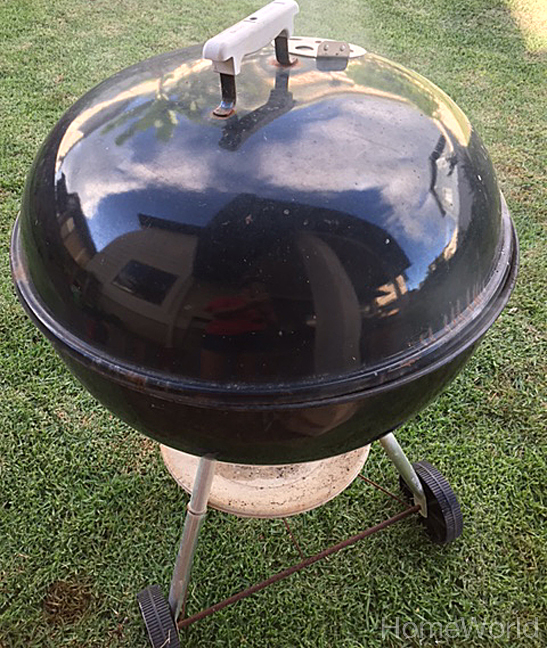 If you are like me, nothing taste or smells better than BBQ anything from your backyard. 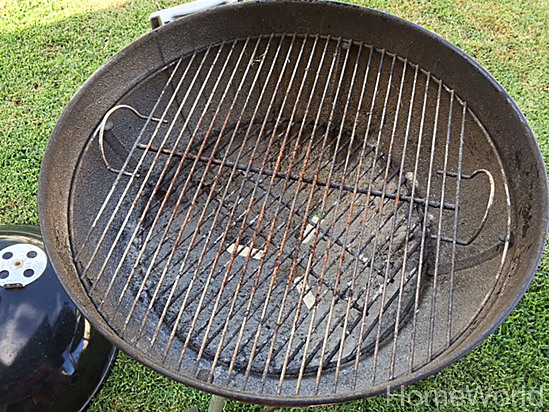 But does your grill look like this? Yuck. When was the last time this was cleaned? Yes. 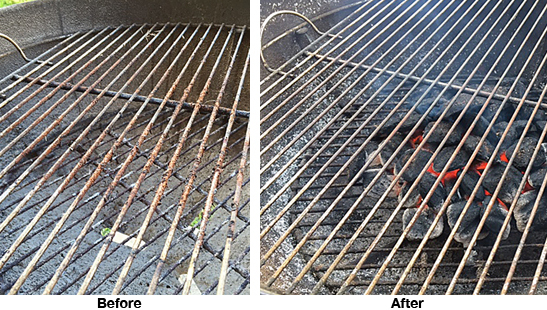 We had our grill for at least 5 years and it has NEVER been cleaned! Don’t judge me. Time to get cleaning! 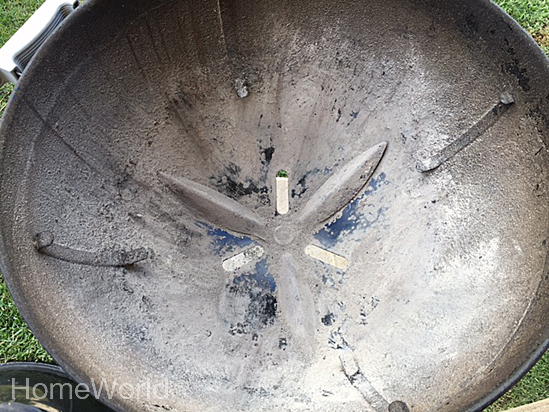 First remove the grates and discard all the old ashes from the bottom. Tip: don’t do this on a windy day! Using a wire brush, give the kettle a good scrubbing. Rinse off again. Now for the fun part! 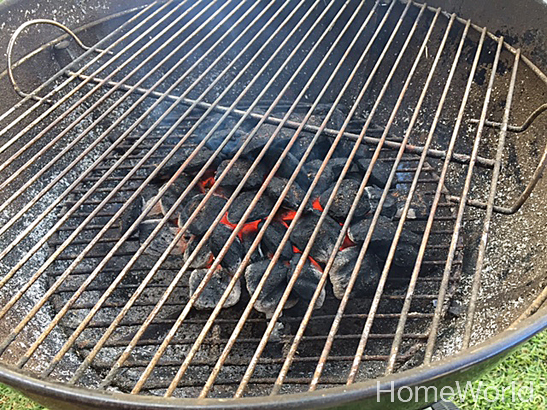 Start the fire using your favorite charcoal. 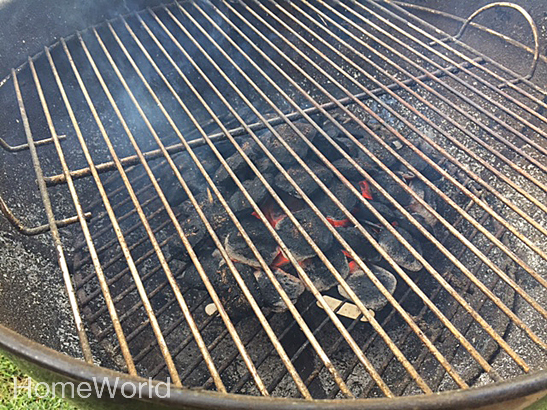 Place your cooking grate over the hot coals and cover. Wait 5 minutes so that your grate is nice and hot. 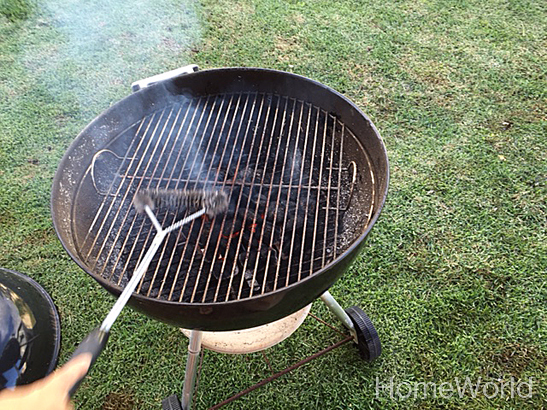 Now that the grate is hot, use a long handle wire brush (the longer, the better so you don’t burn yourself) to clean the the grate. 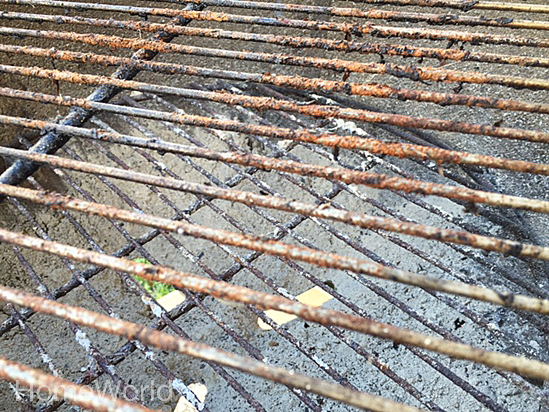 This is the easiest way to clean your grate because the grease and grime that was caked on the grate falls off effortlessly. 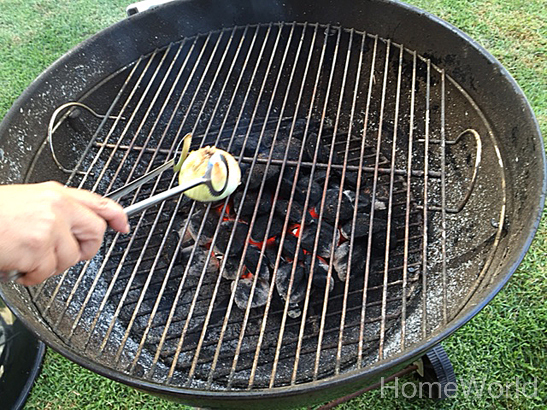 Next, use half of an onion and rub the hot grate. The onion is antibacterial and anti parasitic. This is a good idea especially is you are using a public grill at a park or beach since you don’t know what was grilled previously. Also, it gives your food a mild onion taste! 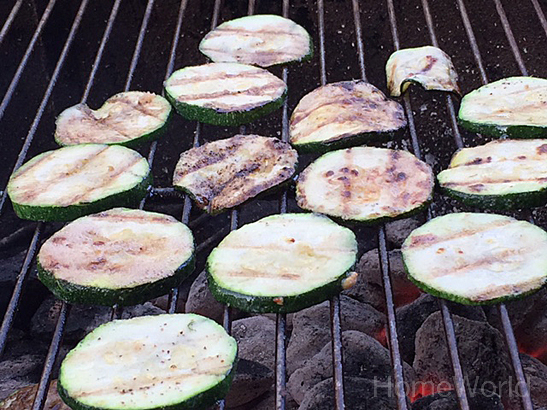 Now that the grill is clean, let’s cook zucchini! 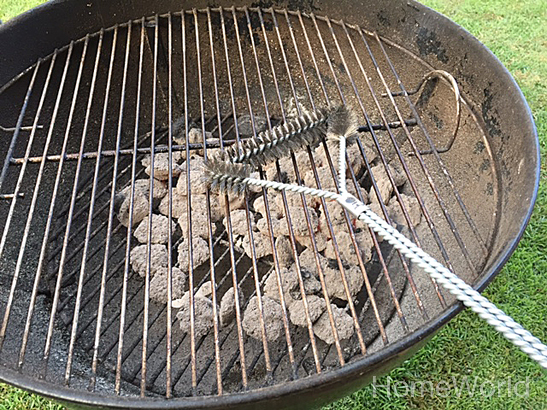 When you’re done grilling, give your grate another scrubbing with the wire brush while the grate is still hot. Time to eat! 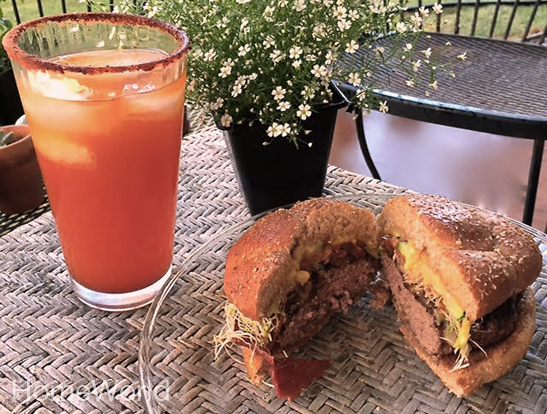 Homemade burgers served with li-hing margarita! Happy Father’s Day from our HomeWorld family to yours! Hope everyone has a safe, fun, and grill-filled weekend! You did a great job. 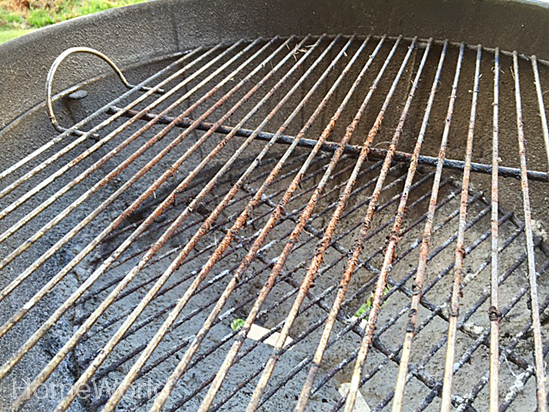 Unfortunately my grill is in the same condition. I should take care of it as soon as possible. Thank you for remembering me this. Keep posting! Hi Naomi. Thanks for your kind words. So glad you found it inspiring. 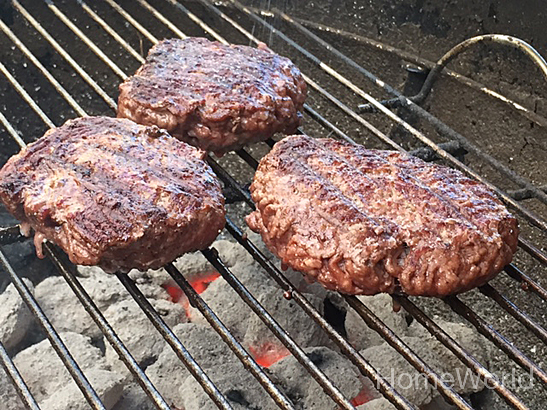 Happy grilling! 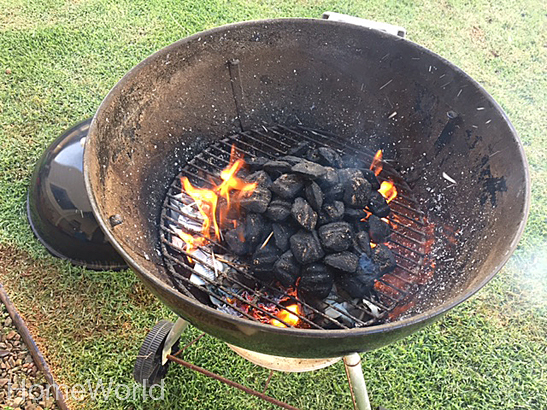 This entry was posted on June 19, 2015 by Terri Dux in Home care, Outdoor Space, Quick Tip and tagged BBQ, charcoal, cleaning, Cleaning Tips, diy, family, Father's Day, grill, grilling, Hawaii, HomeWorld Furniture, Lifestyle, summer, Tips.